A great showcase for the flipping technique for searing, which results in beautifully evenly cooked meat. The Electronic Digital Dual Kitchen Timer – with its Countdown Function and Turn-reminder – is a useful aid in this process. Make the salsa verde by blitzing together all the ingredients in a food processor. Cover and set aside. To make the flavoured salt, blitz all the ingredients together. Cover and set aside. For the lamb, pre-heat a water bath to 60°C. Place each rack into individual sous-vide bags along with 15g olive oil in each bag. Seal the bags under full vacuum and place in the water bath for 1 hour. Remove the racks from the bags and pat dry with kitchen paper. 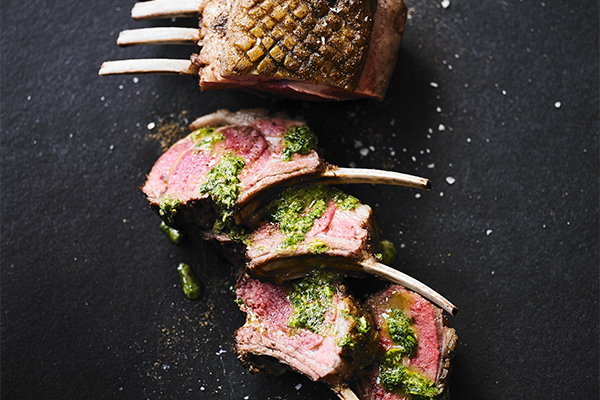 Season each rack of lamb with 3g of the flavoured salt. Coat the bottom of a large pan generously with olive oil and place over a medium-high heat. 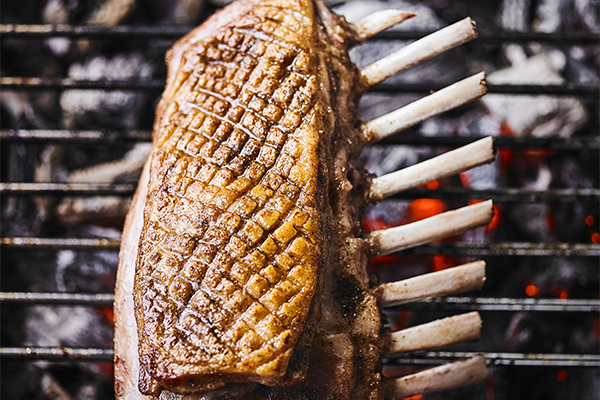 When the oil is hot, add the lamb and cook for 4 minutes, flipping the rack every 15 seconds, until the meat is brown on all sides. Remove the lamb and rest for 5 minutes on a cooling rack placed over a tray before cutting into cutlets. Serve with the salsa verde.